Did I hear you ask how to get stripes in your lawn? Luckily for you, it’s not just the curators of our biggest sporting ovals who can create the beautiful striped-look on a lawn; you can give it a go too. Although it looks like there’s a lot of work involved, creating that striped-appearance is relatively easy to achieve. The number-one thing you need to to have before you start, is a healthy, thick lawn as the stripes won’t look as good on a patchy or discoloured lawn. A common misconception is that you need a cylinder mower to get the stripe-look. Although a cylinder mower definitely helps and makes it easier to get that manicured-look, your average rotary mower should also do the trick. The reason stripes appear, is simply the way the light reflects off the grass-blade. Blades bent towards you look dark, and blades bent the opposite way you will appear lighter. All this means is you have to bend the grass blades opposing ways to create the stripe effect. 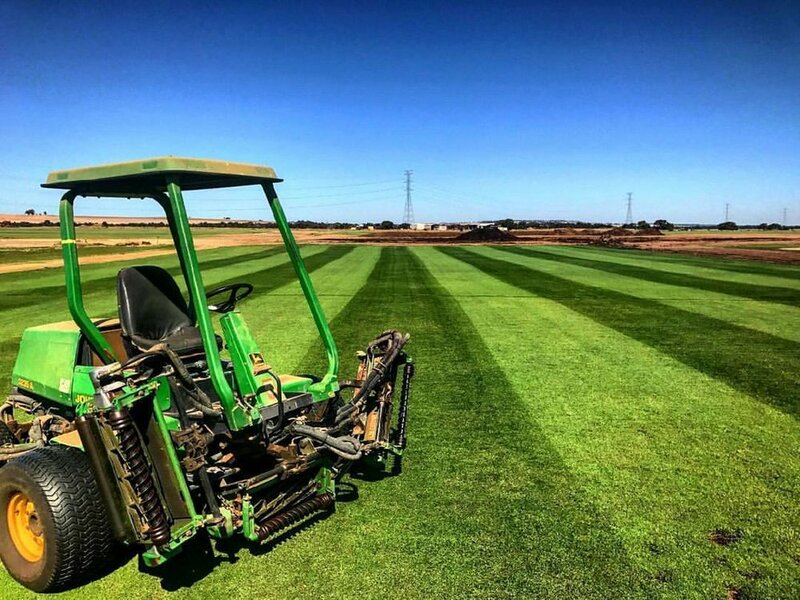 The professional jobs you see at the MCG or golf courses are achieved using highly-specialised mowing equipment with inbuilt rollers that bend the grass blades when mowing. Whilst you may not get the look exactly like they do with your rotary mower, you can still get a similar effect that will still look great. The way to do this, is to mow your lawn in the direction you would like the stripes to face. For instance, if you want them running parallel to the curb, mow your lawn in this same pattern. Now it’s time to bend those grass blades to create the effect. This is best done by using a roller to push the blades down. Rollers can be purchased or rented from your local hardware store (water-filled ones are the best as they are easy to move around when empty). Remember, you have to roll the lawn in the same pattern which you mowed the grass to get the desired effect – the hardest part is making sure you keep nice and straight! To make your stripes stand out even more, go over the area with the roller several times to push the grass right down. Just remember that the stripes will disappear as the grass grows, so they will only last a couple of days during the growing season. It’s best to mow and roll the day before you want them to look their best. You really can create a fantastic look to your lawn by mowing and rolling-in some stripes. Older PostWhat are Catch Cups?